An interesting but cheap card game from Bryplay, who are actually Bryant and May the famous match company. 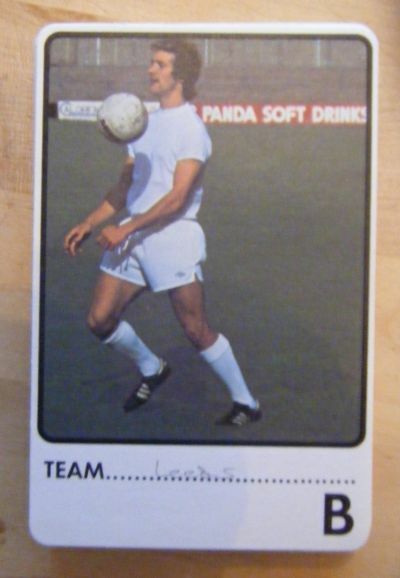 The player cards display the most unconvincing poses. 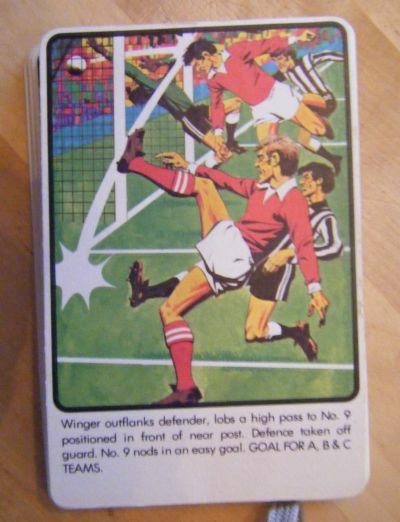 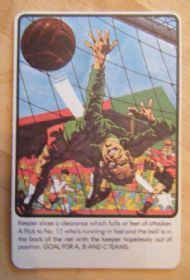 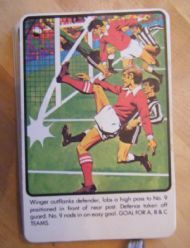 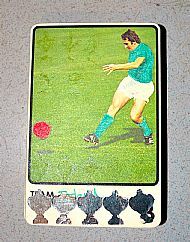 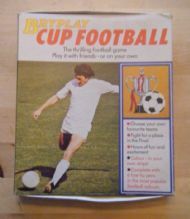 Typical period football design highlighting the 'colour it yourself' nature of the game. 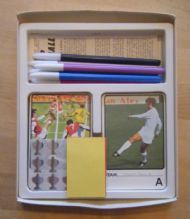 Price is for a used set, well coloured cards, some stickers, rules and some felt tips. 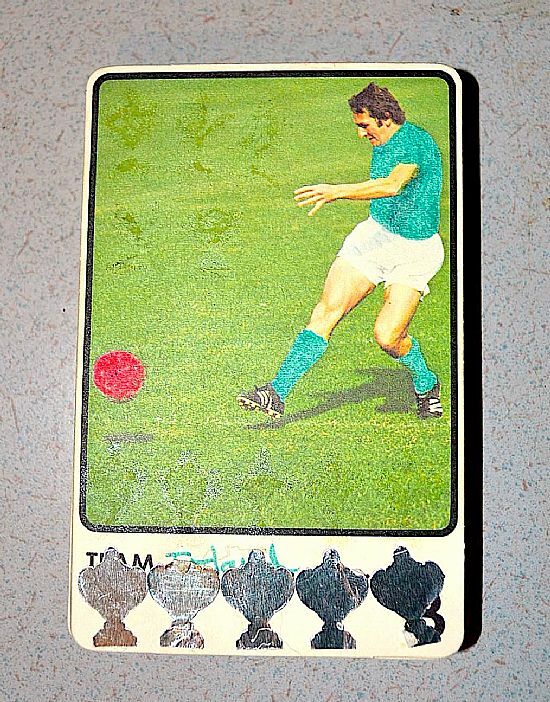 Ireland's hold over all the major world trophies showed no sign of coming to an end. 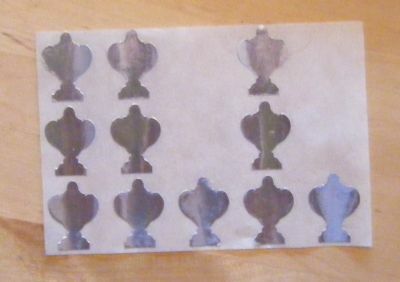 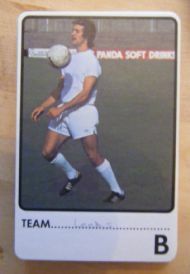 Blank player cards in wholly unconvincing poses. 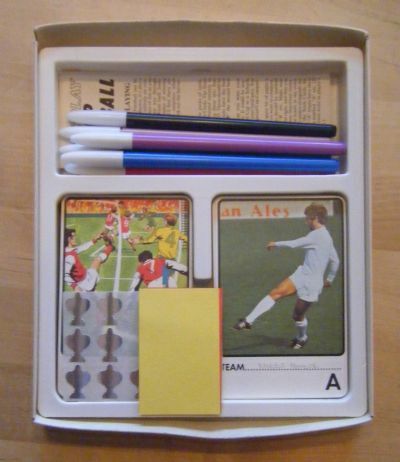 Instead of colouring the kit the owner of this set simply called his team Leeds - genius! 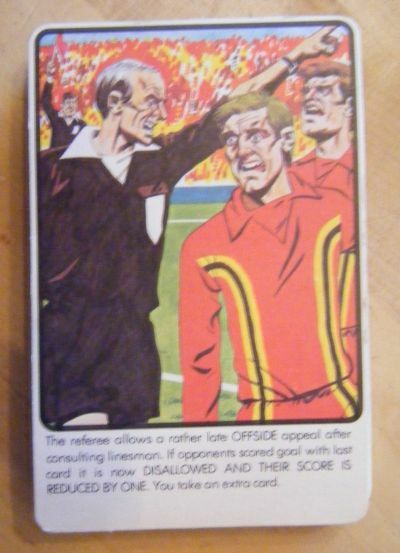 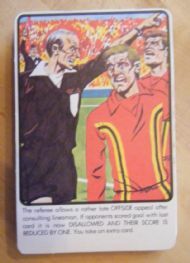 Some real angst and anger on the faces of the ref and players - it's all gonna go off in a minute.